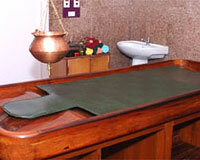 Sandesh The Prince is located close to the famous Mysore Palace. 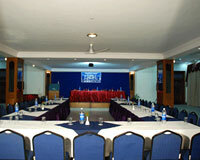 Hotel Sandesh The Prince is a world-class four star hotel that enjoys strategic location in Mysore. 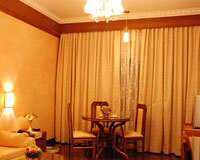 With its exclusive design and interiors, the hotel is the best luxurious place to stay in the city. 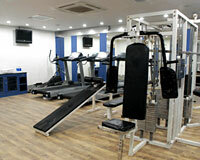 Not only it features spacious comfortable rooms, but also great facilities to rely on while splurging. 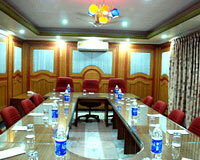 The hotel offers the latest facilities, required by discerning leisure or business traveler. 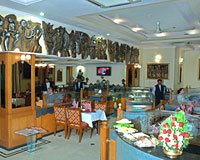 Sandesh The Prince is the perfect place to accommodate for people who wish to splurge in comforts. 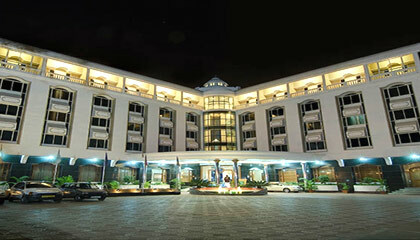 The hotel offers 112 luxurious rooms, categorized into Executive Rooms, Premier Rooms, Regular Suites and Prince Suites. 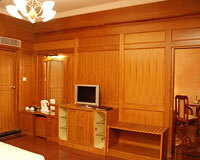 All the rooms are beautifully designed and the interior reflects a world class elegance and sophistication. The Castle: A multi-cuisine restaurant that serves an exotic range of tasty dishes. Sandy's: A 24-hour coffee shop offering reasons to sit and enjoy beverages. 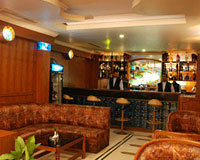 The Road: A chic pub which is popular for its ambience and décor. Khedda: A premium bar offering the finest liquor, wines and cocktails. 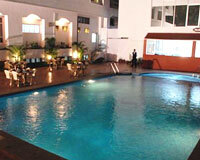 Sizzler: A pool-side barbeque restaurant serving drinks and snacks.